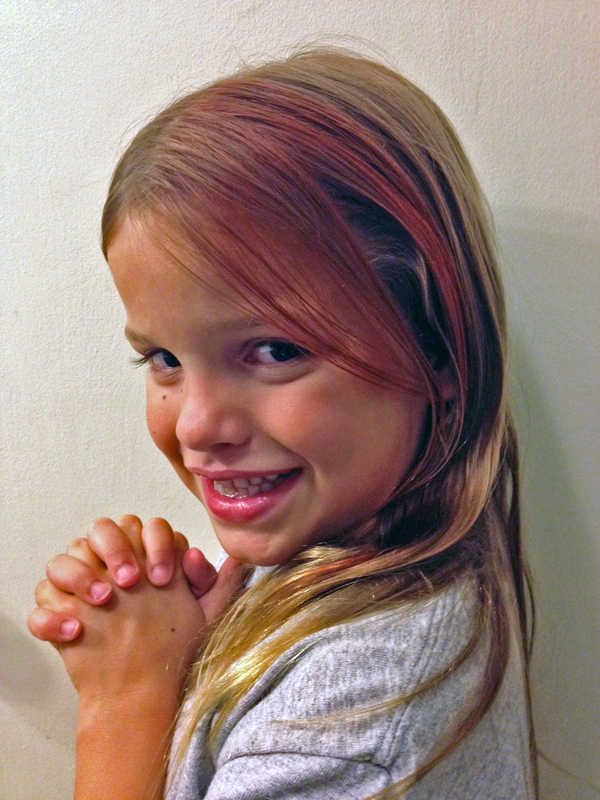 Zaffy’s Kool-Aid Hair | "It's Not Wine, it's Mommy Juice!" We dyed Zaffron’s hair pink tonight using Kool-Aid. This entry was posted in My Funny Kids and tagged hair, lazy parenting, Zaffron by Kristine Castagnaro. Bookmark the permalink.